ST. PETERSBURG, Fla. - The B-52's would be very proud of Florida Man, er... Woman. Kimberly Gabel, 42, was intoxicated when she entered a Red Lobster restaurant in St. Petersburgh last Saturday. When management asked Gabel to leave because she was disturbing other customers, the woman reached into a nearby tank, stole a live lobster and skedaddled out the front door, according to The Smoking Gun. The arresting officer reported Gabel smelled of alcohol and was slurring her words. 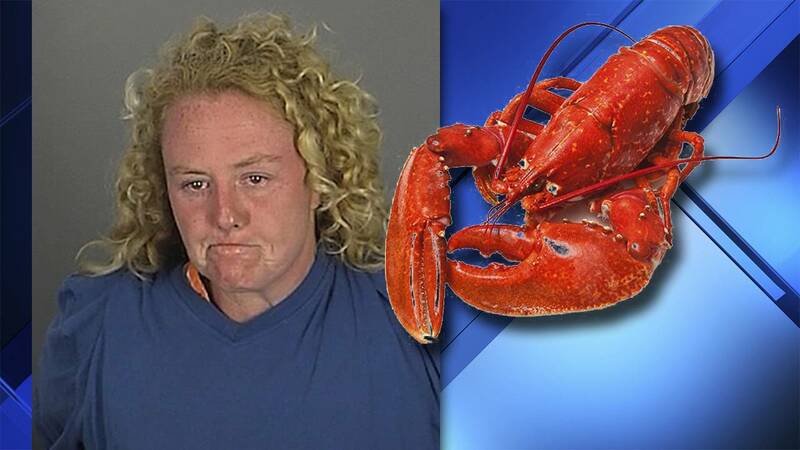 When asked about the lobster, Gabel said she was unaware of its location as she was "blacked out drunk." Gabel was charged with a misdemeanor count of disorderly intoxication. The police report never states whether the lobster was recovered.